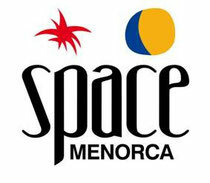 Space Menorca’s long-awaited opening, to be held next week on Friday 15th June, has confirmed the line-up of guest DJ Kurd Maverick, one of Space Ibiza’s residents, Paul Darey, and club resident Gelabert, who will be in charge of the warm-up. The doors of Space Ibiza’s first franchise in Europe, in the port of Ciutadella, will open from 11pm to 6am, to launch what is hoped will be a memorable first season in Menorca that will end with a special closing party in September. German producer Kurd Maverick shot to fame with his track, ‘The Rub’, and the remix he did with D.O.N.S. of Technotronic’s ‘Pump Up The Jam’. After repeating the success with ‘Love Sensation 2006’, Kurd consolidated his place amongst the big boys thanks to his productions and remixes for artists like Bob Sinclar, Robbie Williams, Erick Morillo, Pet Shop Boys, Eddie Thoneick and Basement Jaxx, among others. After his release, ‘Happy Days’, on Hotfingers in April, his new track, ‘Hell Yeah’, followed up on Spinnin Records on May 28th. Space Ibiza resident, Paul Darey, plans a full and varied set, packed with energetic beats and direct rhythms, transporting the magic and essence of Ibiza to its neighbouring island. On warm up duties for the opening, Gelabert, will also be Space Menorca’s resident DJ throughout the summer of 2012. He is already one of the best-known DJs and producers on the island, having already played at festivals such as the Miami Ultra Music Festival, Eve Miami, Row14, Cosmos Sevilla and Bcn Catwalk among many others. Like Space Ibiza, Space Menorca has been equipped with a Funktion One sound sysytem, custom developed for the best possible performance. Other similarities are the Martin lighting with LED technology and video-mapping. The club is equipped with a surface area of 850 m2, has a maximum capacity of 600 people and is divided into three areas: a terrace-hall, a garden terrace that serves as a chill-out area and a Main Room. The day after the opening, on Satuday June 16th, the club will launch new weekly night ‘Delicious’ and will feature John Alcalde, aka Spider, as resident alongside several guests and performers to be announced shortly. This is the start of a new era for Space Ibiza, which this year also plans openings of new franchises in Camboriú, Brazil, and Dubai, UAE. Recently awarded the title “Best Global Club”, Space Ibiza is consolidating a new phase of expansion and the opening of Space Menorca is just the start.